Changing your URL can be a frustrating process, and one that most business owners want to avoid. Not only is your website address a crucial part of your branding, it’s also likely tied into a number of other things, like email addresses and other promotional material. But if you’re rebranding, or feel like your long, out-of-date URL just won’t do, you may have no choice but to switch. If you have a well-established website with a lot of visitors and high placement in search results, you may be worried about losing your hard-earned rankings in search engine results, or seeing a dip in traffic. Although you may see a slip initially, taking the right actions will help you bounce back in no time at all. Follow this guide to help you change your website address without hurting your rankings. Whoa, Nellie! Don’t go changing your address right away. There’s some prep work that has to be done first. These steps will ensure your URL update goes smoothly. Evaluate the number of pages and URLs on your website. 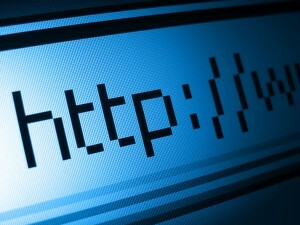 When the domain name is changed, will your URL structure stay the same? Or are you planning to use this opportunity to update a few other things? Start a record of any and all URLs that will need redirected somewhere new, or that will be impacted by a change in structure. You’ll need to refer to this again later. Check out your external links. Use a tool like Open Site Explorer to create a link profile of your website. This will tell you what sites are linking to you, and what page or pages they are linking to. Even though you’ll be forwarding the old links to new ones, you may want to take note of any important or highly ranked websites so you can contact them after the change. Do an internal link audit. Locate any social media profiles, intranet sites, or other pages under your control that will need updated. Ensure your team has all the credentials they need to log in and change the URL when the time comes. This also applies to any external ad services, like Google AdWords. Prepare and plan a link building campaign to take place after the URL is updated. This may aid in search engine recovery, and can also help get the word out about your rebranding. On the day of your domain name switch, notify your employees, important customers, and social media followers that there is a change taking place. Make them aware that the website may be inaccessible for a short period of time, and offer a method to reach customer service while the site is “down” for them. They will appreciate your transparency, and this can also help cut back on the number of “why is the website not working?” calls or emails you receive. Once this is done, you’re ready to take the big step: updating your URL! Here’s how to do it. With the nameservers added, the change process will begin. Much like a DNS or hosting update, a domain name change can take up to 24 hours to complete. Quickly update the URL in your CMS. 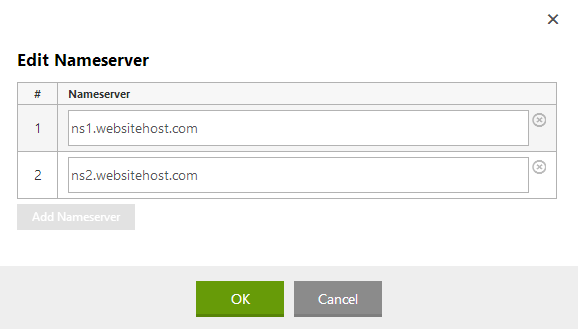 Some content management systems require the site URL to be present in a settings field, or otherwise assigned to the website. Once you’ve assigned the nameservers to your new URL, quickly update your CMS to reflect this. If you’re using WordPress, you can find instructions on changing the site URL here. Implement redirects to avoid 404s. Using either FTP or the File Manager tool provided by your website host, locate your .htaccess file. Unless you plan on someday moving back to your old URL (not recommended), you will want to add a 301, or permanent, redirect to this file. The .htaccess file will tell visitors to your old URL that you’ve moved, and redirect them accordingly. Replace “NEWURL” with your new website domain name. Remember to always include the full URL of your new locations to avoid a 404. Tell Google that your website address has changed. Google Webmaster Tools has a form that allows you to tell the search engine when a URL has changed. Instructions on using this tool can be found here. Submit your new domain name, as well as any other important or highly ranking pages that may have seen a significant change in structure or name. Update internal URLs and email addresses. Finally, switch to the new website address on your social media profiles, and start updating those AdWords addresses. And if you haven’t already, you will need to create and assign updated email addresses for all employees. Your IT department or domain name registrar can help you with this process. Phew! After the hassle of your URL update, you need a break. Wait until the next day to do anything else. Once the new domain name is working for everyone, there are a few final steps you should consider taking. Email your marketing list about the change. Send a quick email to your customers to make them aware of the updated site address. This may also be a good opportunity to bring users back to your site who have not visited recently – for example, with a “grand reopening” sale or special discount. Contact websites linking to the old URL. 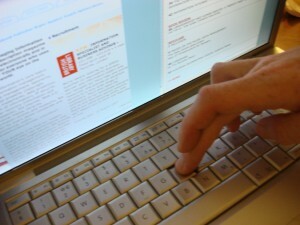 Using the link profile you pulled earlier, send a quick email to anyone linking to your old website address. Although the 301 redirect in your .htaccess file will pass along a good amount of the “link juice,” it’s still a good idea to ask for an update. This can help take some strain off your server, and may encourage another visit to your site… which could even result in a new link or two! I noticed you are linking to [YOUR SITE NAME] from [THEIR WEBSITE]. We recently switched our URL from [OLD URL] to [NEW URL], and I was wondering if you could update your link? For reference, I found the link on [SPECIFIC PAGE WHERE YOU FOUND THE LINK]. Deploy a link building campaign. Although you will probably experience a slight dip in traffic and rankings as search engines catch up with your update, getting some fresh, high-quality links to the new URL can be beneficial. Update any printed materials. 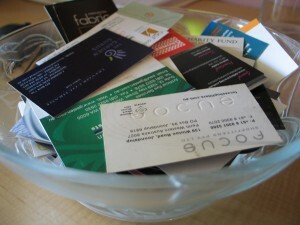 Finally, change any business cards, brochures, or other printed material that may show the old URL. Distribute the updated materials with a note about the change. Make sure your sales team is using the latest and greatest out there in the field! Watch the “Crawl Errors” section of Google Webmaster Tools like a hawk. Google Webmaster Tools can help you identify any broken links that you may have missed. This allows you to keep track of all internal and external 404 errors coming in to your site. After your website address is updated, you may see a dip in traffic, and your rankings on specific keywords or phrases may slip. However, this is only temporary. Once Google, Bing, and Yahoo crawl your site again under the new URL, you will start to recover. Heck, if your link building and update campaign is successful, you may even gain a spot or two! As long as you follow the right steps, it’s unlikely that visitors to your website will see any 404 pages. However, you should be prepared for a few weeks of minor confusion as employees or customers get used to the change. The most important thing you can do is communicate with them. Tell them why the change was necessary, and how it will impact them moving forward. And if they run into problems, do your best to address them quickly. Being transparent about the update, and resolving any conflicts in a timely manner, is the best way to keep everyone on the same page and enthusiastic about your new identity moving forward.